The children's theater festival Stages, Sights & Sounds, programmed and hosted by the Chicago Humanities Festival, comprises 48 performances at three venues; highlights this year include Fluff, described as a cross between Yo Gabba Gabba! and Absolutely Fabulous, and Fairy Tales, a show by Japanese puppet master Nori Sawa. Today kicks things off at the Chicago Cultural Center with two performances of puppeteer Pablo Vergne's Animales. On the first Tuesday of every month, Chicago Reader writers Ben Joravsky and Mick Dumke are given a stage at the Hideout to talk city politics—and whatever the hell else they might feel needs a takedown. Karen Lewis, the president of the Chicago Teachers Union, is tonight's guest. 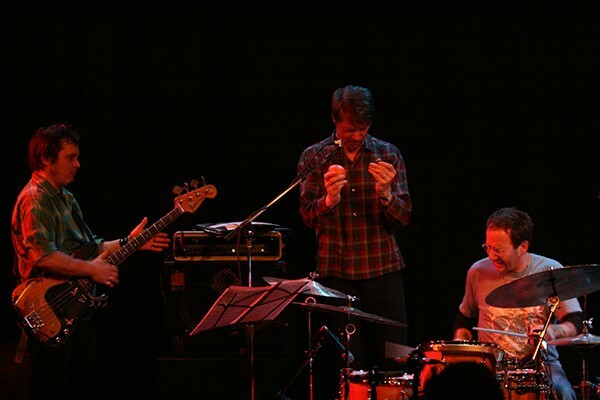 Tonight free-jazz group the Nels Cline Singers play at SPACE. In Soundboard Peter Margasak writes, "Guitarist Nels Cline titled the new album by this long-running group Macroscope (Mack Avenue), and more than anything Cline has released in his prolific career, it's wide-angle music—he operates with the mind-set of a jazz musician while drawing on styles and sounds from all over the map."